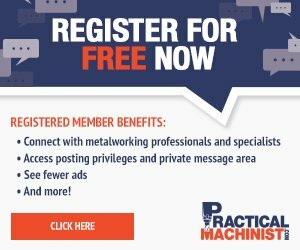 Preventative Maintenance (PM) is a comprehensive plan designed to keep your equipment running at peak performance while reducing overall maintenance and service costs. The big idea is to minimize unplanned machine downtime by scheduling and performing routine preventative maintenance checks. This proactive measure will preclude any major problems with the EDM and will allow for smoother workflow planning and extended machine life. 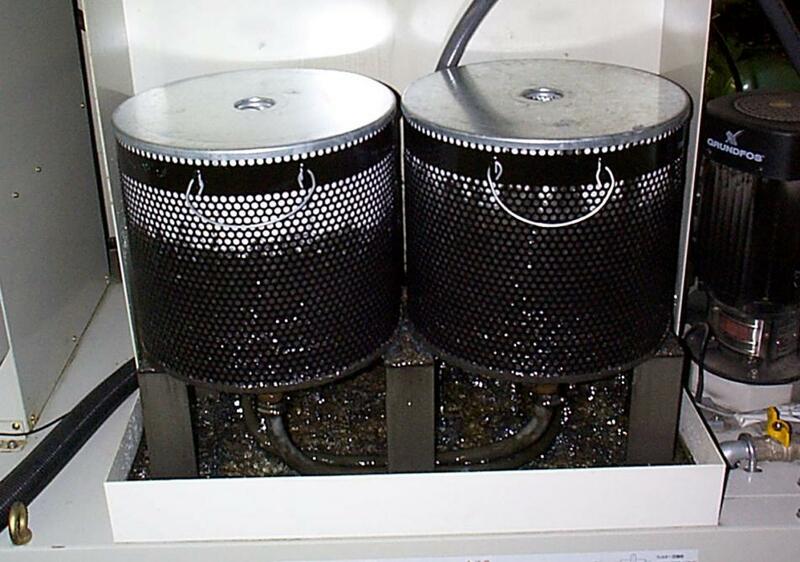 A stringent preventative maintenance plan is especially important for wire EDM equipment in order to maintain top speed, accuracy and surface tolerance. Because wire EDM is used to cut such small, intricate and complex geometries, maintenance is critical to ensure consistent and repeatable machine performance. A preventative maintenance program will maximize output, minimize cost and assure ongoing quality of the parts being produced. Performing maintenance checks too infrequently can result in more serious maintenance and service emergencies. Preventative maintenance is not as grueling as it sounds. Simply monitoring and maintaining four key areas on an ongoing basis will extend machine life and reduce long-term maintenance and service costs. EDMs require several consumables to ensure top performance. These include power feeders, filters and resin. Power feeders are located in the upper and lower heads and transmit the current to the cutting wire. They wear at different rates depending on wear size and power levels. As wear increases, cutting speed decreases. If cutting speed drops, power feeders may require indexing or replacement. Indexables take about 15 minutes to index and clean, and this should be done as dictated by the hour meter. Filters clean the cutting sludge from the DI water for recirculation. They come in many different sizes, shapes and quantities; using the proper size and flow is important for circulation and machining stability. As the load in the filters increases, circulation volume decreases. Life expectancy is controlled by cutting speed, wire size, material type and thickness. They need to be changed in accordance to the filter back pressure reading or volume loss requirements. The DI (de-ionizing) resin system contains anion and cation resin beads in a cylinder. It removes the ions from the water generated by the cutting process and controls the conductivity of the water. Life expectancy depends on the make-up of the water added, material being cut, filter condition and the machine power supply type. Maintaining proper DI resin levels will prevent unstable machining. Pre-filters can be used to extend resin life. Resin exchange is required when the machine puts up a warning that the conductivity level is too high. Change time is only about 10 minutes. The more often a machine is cleaned, the easier and quicker it is to maintain. Failure to wipe down machine areas regularly will result in build up and will require significant time and energy to restore. Be careful when choosing your cleaners; some acids are very corrosive, which can kill your DI resin. Phosphoric acids are a safe choice, but the area should always be rinsed thoroughly with water after cleaning. Here’s a look at the various machine areas that should be kept clean. The work table needs to be clean and free of dings or burrs for proper grounding. Plastic grass mats can be placed on the table base to reduce excess spray and collect sludge, if you’re using a non-submerged machine, which will extend filter life. It is important to keep the table tray clear of accumulated sludge, which could cause corrosion and leaks that could rip on the ball screws. The lower arm and head can accumulate excessive dirt from being submerged. Build up on the arm will cause O-ring wear, leaking and accuracy problems. Build up on the head and ceramic plate will cause current loss and reduce machine speed. It takes about 15 minutes to clean these areas and should be performed every 500 hours. 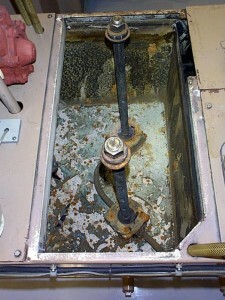 An EDM seal plate keeps the water in the machine tank, allowing the lower arm to move. It is made of a plastic material or stainless steel depending on the age of your machine, and is designed to be slippery. The lower arm O-ring rides along the surface to seal the water. This requires proper tension to guarantee seal integrity and longevity. Plastic seal plates should be cleaned regularly to prevent dirt from gouging the surface and causing a leak, which would affect machining accuracy. It only takes about five minutes to clean the seal plates regularly. The conductivity sensor is located in the clean tank of the fluid system. It measures the current carrying levels of the water in between the two probes. If dirty, the sensor reads lower than the water’s actual level. Exact levels of water conductivity must be maintained for accurate cutting. If levels are too high, it will cause extreme rust, oxidation and cobalt erosion. A conductivity sensor requires about 10 minutes to clean and should be done every 300 hours. Fan coolers or chillers remove heat and control the water temperature. Variations in water temperature will affect productivity and product quality. Most heat is generated by the high-pressure pump and can get quite hot without a cooler. Cooler fins transmit that heat to the air. Fin efficiency is lost as shop dust, grit and oil smoke coat their surface. These can be cleaned periodically with compressed air. Failure to maintain them regularly will require a pressure washing to get them clean again. Adding a simple furnace filter at the air intake will keep the cooling fins clean. A filter pump’s intake screen can be very problematic. It can get plugged with paper towels, shop rags or large flakes of dry sludge. Screen blockage will affect circulation and machine performance. This should be checked by hand regularly or on a weekly basis. Another component of preventative maintenance is checking all machine components to make sure they’re in proper working order. These include cables, the wire transport system, rollers, bearings and flush cups. Wire EDM operates with high frequency current that uses the outer surface of the cables. Cables are the number one cause of speed loss in an otherwise normal machine. There are three types of cables on most wire EDM machines: ground cables, auxiliary cables and power feed cables. Auxiliary cables are used on larger machines to shorten the distance the current has to flow, improving cutting speed. These cables can improve cutting speeds .005~.015”/min. depending on material thickness. They should be replaced at the first signs of wear—including a broken attachment clip, ripped cover or residue build-up caused by improper cleaning. Power feed cables bring the cutting current to the machine heads from the power supply. They’re normally a coaxial type cable with the outer shielding used as the return ground. Broken power feed cables can result in up to a 40 percent loss in cutting speed. It’s recommended that these be replaced every three years. Do not try replacing your ground cables with automotive type jumper cable; it is not the same thing! The wire transport system includes everything from the wire spool to the waste basket. Wire pretension motor, main tension brake, limit switches, wiper pads and rollers all have to be checked regularly. Wire guides, set screws and contacts all play a part in wire stability. Keeping them clean will prevent clogging and inaccuracies in part quality. Inspect all rollers and bearings for smooth operation and wear. 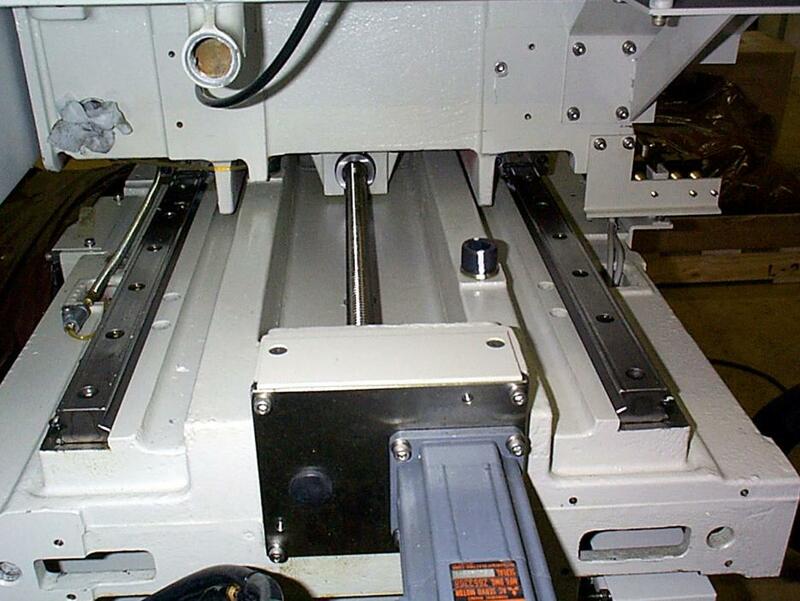 Bad bearings create vibration and can cause lines in the workpiece surface. Worn grooves can cause wire curl that can hinder machine operation. Flush cups direct the high pressure flush into the gap to remove sludge quickly. Chipped, cracked or broken cups allow that water pressure to escape to the sides, resulting in reduced cutting speed. Machine lubrication is important to overall performance. All machines run on ways and move with ball screws. Check with OEM specifications for the recommended lubrication schedule. Positioning accuracy depends on the smooth operation of these items. Wire cut surface finish can be affected by bad ways and screws. Always visually check for the proper lubrication of these surfaces. Some machines use grease, some use way oil and others use a combination of the two. Some machines require the UV-axis be greased by hand. The small ball screws and ways are just too difficult to cover with an automatic system. Some machines offer either automatic or hand pump way oiler systems. It’s important to check which items (ways and ball screws) these systems cover. Don’t assume they cover everything. Visually inspect that each lubrication point is receiving its fair share. A plugged line can cost major repairs and downtime. Implementing a regular preventative maintenance program will save you time and money in the long run. It will also result in extended machine life, higher resale value, top productivity and great machine accuracies.